ESH-TA-HUM-LEAH or Sleepy Eyes. 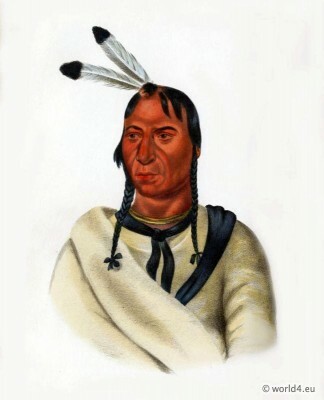 A Sioux chief. „Indian Tribes of North America“ by Thomas L. McKenney and James Hall 1826. Paintings by Charles Bird King.